Need more USB ports on your Pi? Here's your answer! This USB Hub will turn 1 USB port into 7 so you can connect multiple USB devices into a single port! Specially designed with the Pi in mind, this USB hub also has a 5.5x2.1mm DC power port so you can inject external power at times the Pi can't supply enough. 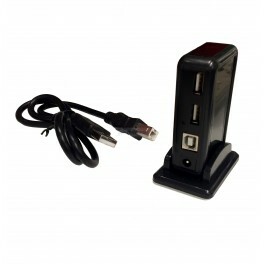 Convert 1 USB port into 7 instantly!